In a short time the adventure starts, a through-hike of the Pacific Crest Trail. On March 28th I will start at the southern terminus of the trail at the US Mexico boarder, an hours drive east of San Diego. The trail goes north 2650 miles to the US Canadian boarder through the mountains of California, Oregon and Washington. My plan is to hike straight through resupplying at towns along the way which should take about five months. Although I have no hiking partners to start with there are many making this journey I can hike with for a day, a week, a month or five months. Some ask why make such a journey? I have known of the trail for almost 50 years and have hiked over 450 mile in segments over that timer. I have met those who have hiked it or are hiking it. I have read of others trek and have seen movies, documentaries and listen interviews of many who have traveled the PCT. But why do I want to hike? First of all I love to hike and backpack. Traveling through the wildness with every thing you need on your back gives me a since of freedom. The simple rhythm of hiking, setting up camp, preparing a meal, sleeping, breaking camp and then hiking an other 15 to 25 miles up the trail I have enjoy since I was a youth. 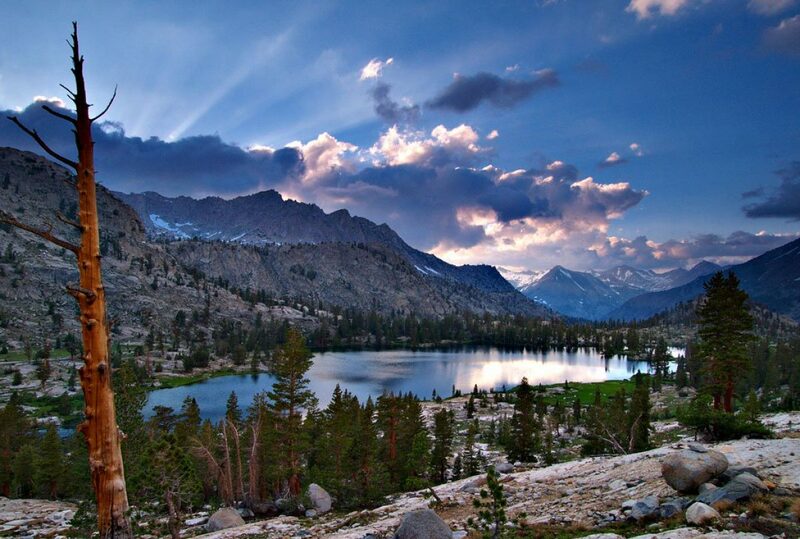 The PCT travels through some of the most beautiful places on earth. It passes through several state and national parks and many wilderness areas and national forests. The sights the sounds and the smells are best experienced as you hike through them. It can give all who venture forth a greater appreciation of this creation and its Creator’s gift to us. While there is much beauty to enjoy on the trail it will not be easy. There will be pain, heat, cold, rain, snow, sweat and fatigue. Much of the time spent on the trail will be hard and unpleasant with moments joy. Although it will be physically hard the greater challenge will be mental. It will be an adventurer but I believe adventure builds character to help me become a better man. Thus it is a challenge I look forward to that I might enjoy the rewards of nature’s beauty, character, the simple life and a greater appreciation for my Creator. I appreciate many individuals, organizations, state and federal governments who have made this and many other long distance trails possible. There also are and will be many trail angels who make journey easier. I also appreciate the development of ultralight equipment that has lighten my burden. The base of my pack (without foodwater and fuel) is about 12.3 pound. I also will carry a personal locating beacon that will enables me contact search and rescue for help and to send and receive text messages anywhere along the trail. I mostly appreciate my wife for her unwavering support and sacrifice. What an adventure!!! It will be amazing and we will be with you all the time! Good luck! Love and miss you! I skipped 130 miles from Ashland to north of crater lake which I plan to do next year. I also would like to do some sections of the continental divide trail but no specific plan at this point.